Never miss an A.G. Riddle book! 2-3 emails per year. No spam. Never shared. Will reveal the ultimate secret of human existence. And could hold humanity's only hope of survival. 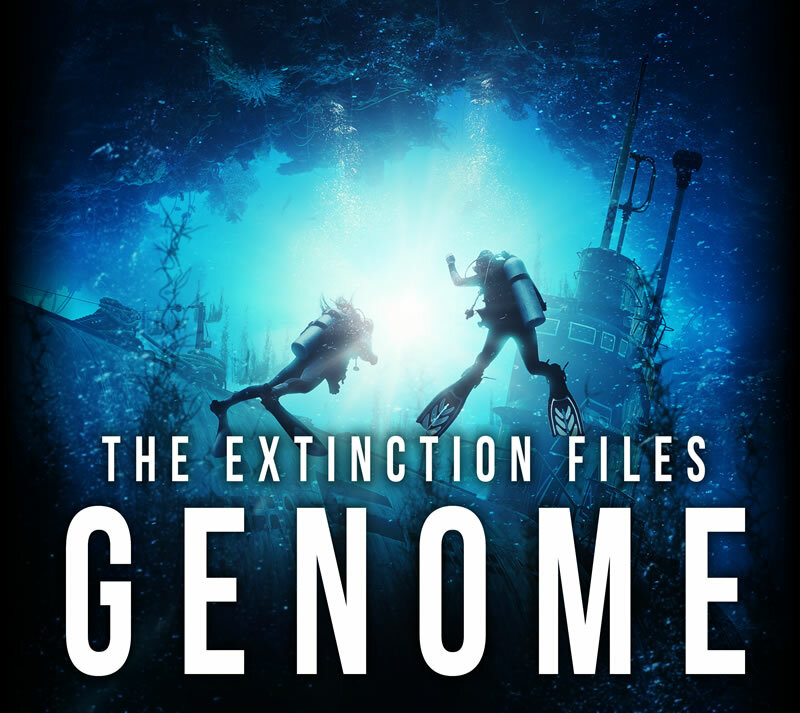 Don't miss the thrilling conclusion to THE EXTINCTION FILES series! Loved GENOME? Share it with friends and family. Getting the word out helps keep me hard at work on the next one. Experience Nicola Barber and Scott Aiello's critically acclaimed performance. Be the first to know about new books, free stories & more! 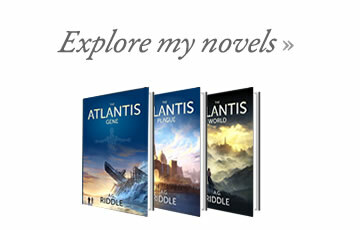 Get all the A.G. Riddle news: connect on facebook and twitter. - Citium is the Latin name for the ancient Greek city of Kition, a city-kingdom on the southern coast of Cyprus (in present-day Larnaca). - Zeno of Citium was a philosopher from the city of Kition. He was the founder of the Stoic school of philosophy, which he taught in Athens from about 300 BC. Zeno divided philosophy into three parts: Logic (a very wide subject including rhetoric, grammar, and the theories of perception and thought); Physics (not just science, but the divine nature of the universe as well); and Ethics, the end goal of which was to achieve happiness through the right way of living according to Nature. Altamira is one of the most important sites where Upper Paleolithic cave paintings have been found. The earliest paintings at Altamira were created 35,600 years ago. The cave is located outside Santillana del Mar, Spain. The descriptions of the cave paintings and the cave's passages are accurate, as are the visitor center outside. The Arktika is an actual Russian nuclear icebreaker currently slated to launch in 2019. It will be the largest icebreaker in the world. All the details about the ship are accurate. All factual, including the details about dire wolves and American Lions, though the role humans played in the mass extinction of megafauna remains a subject of debate. The Quaternary extinction was a mass die-off of large animals that occurred during the transition from the Pleistocene to the Holocene epoch (13,000 BCE to 8,000 BCE). The extinction is believed to have been caused by two factors. The first was natural climate change on a global scale, specifically the end of the last glacial period, known popularly as the last ice age. Technically speaking, we’re still in an ice age, one that has lasted millions of years—we’re just in an interglacial period at the moment. At the time of the Quaternary extinction, the warming of the planet and retreating glaciers put many species at risk. Large animals that had evolved for cold weather died out, and those that survived fell prey to humans invading their environment. It’s hard to imagine the scale of this climate change. The ice sheets that covered much of Asia, Europe, and North America stopped advancing and started retreating. Within a few hundred years, an unimaginable amount of ice had melted—enough to raise sea levels thirty feet in places. If all the ice in Greenland melted today, it wouldn’t raise the oceans that much. The most dramatic consequence, however, was on sea currents. The flood of freshwater into the Northern Atlantic pushed back on the flow of warm water from the equator moving north. That warmer water was redirected south, toward Antarctica, shrinking the ice there and changing the circumpolar winds. In the course of a thousand years, most of the planet went from being a frozen wilderness to a fertile world perfect for our species. It was almost tailor-made for humans. We were alive at exactly the right time. And it changed us. Fact. Our genome is 98.8% identical to chimpanzees. Neanderthals are even more similar to us: their genome is a 99.5% match to our own. Fact. Around 250 BC, Aristarchus proposed that the Earth was not the center of the universe—as was the general consensus at the time. He placed the sun at the center, giving credit as he did to Philolaus, a Greek Pythagorean and pre-Socratic philosopher who had lived a hundred years earlier. Philolaus had proposed that the Earth, sun, and moon rotated around a central fire. But Aristarchus went further. Not only did he identify the sun as the central fire and the center of the solar system, and assert that the path of Earth’s orbit was circular, he was also the first to propose that the stars were very far away from each other and that the universe was much larger than anyone suspected. He even proposed that Earth was spinning on its axis and that it took one day to complete a revolution. Aristarchus had proved the truth, mathematically, over 1800 years before Copernicus. In fact, Copernicus acknowledged Aristarchus in the first draft of his book, but the reference was removed before it was published. Aristarchus has written a book in which he says that the universe is many times bigger than we thought. He says that the stars and the sun don’t move, that the earth revolves about the sun, and that the path of the orbit is circular. Galileo Galilei, who was born twenty-one years after Copernicus died, restored Aristarchus’s place, identifying him as the discoverer of the heliocentric solar system. He referred to Copernicus as the "restorer and confirmer" of the hypothesis. The heliocentric theory would of course go on to land Galileo in trouble with the Roman Inquisition, who placed him under house arrest until his death. All of the details about the book and Lewis Carroll are accurate. The illustrations reproduced in Genome are the ones included in 'Rare Alice'--the first printed edition rejected by Carroll. Fact. In July of 1405, a Chinese fleet under the command of Zheng He departed from Suzhou for a tour around the Pacific Ocean. The scale of the expedition was massive. Over three hundred ships, almost twenty-eight thousand crewmen, mostly military. They visited much of Southeast Asia, including Brunei, Java, and Thailand. They stopped in India, the Horn of Africa, and Arabia. China in 1405 was home to sixty-five million people. England had only two million. China was the largest economy in the world at that time. India was second. And the Chinese fleets were much more advanced than those of any European power. Their largest ship was four hundred feet long and had a four-tiered deck. By comparison, Christopher Columbus’s largest ship, the Santa María, was roughly fifty-eight feet long. In 1400, if you were asked to guess which nation would colonize Australia, you probably wouldn’t have looked to Western Europe. Yet it was the Dutch who landed there first—in 1606. And Britain who established the first colony—in 1788. Fact. Punctuated equilibrium is a theory proposed in 1972 by Niles Eldredge and Stephen Jay Gould. Before that time, evolutionary biologists had debated how new species developed. Most thought it happened gradually over time—what we call phyletic gradual evolution. But the fossil record doesn’t support that. It shows that when a species emerges, it is generally stable, with little genetic change, for long stretches of time. When evolution does occur, it happens rapidly—new species branch off in a relatively short period of time on a geological scale. Fact. The Desertron, or Superconducting Super Collider (SSC), is a particle accelerator that was planned to be built in Texas, south of Dallas. Much of the facilities were built before the project was canceled by Congress in 1993. The accelerator's ring would have been over three times larger than the LHC and would have used three times as much power. 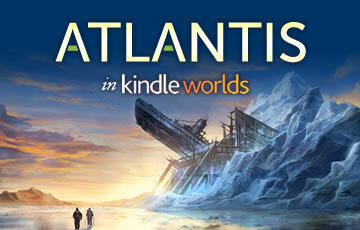 Fiction, though the concept was based on a real luxury resort in Antarctica: White Desert.